Four major college bands are planning to send up to 60 members each to march in the St. Patrick's Day Parade in Dublin, Ireland in 2017. The four schools that will join forces are Washington State University, University of Washington, Oregon State University and the University of Oregon. 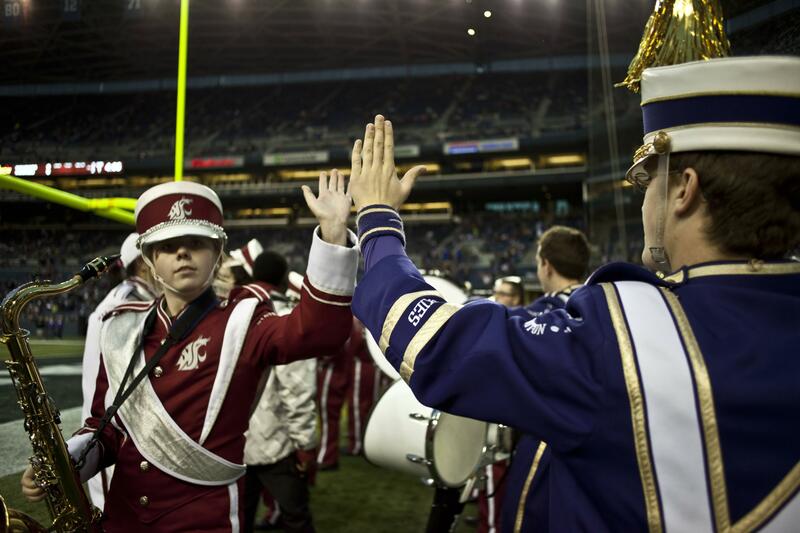 The bands will join to form the Pacific Northwest Intercollegiate Marching Band. Students who will participate in the special band must fund-raise for the trip themselves as the trip will not be university funded. The members will unite one time before the parade to meet each other and rehearse. Then they are off in March for the big trip which will include the Parade, a performance at Kilkenny Castle, a night in Belfast plus a visit to the Titanic Museum in Northern Ireland. But most importantly it will be a band trip unlike anything anyone has ever experienced before. Will this become the new norm for international band trips? Can we expect to see the North East Intercollegiate Marching Band bringing students from Penn State, UCONN, Rutgers and Syracuse together soon?